Apart from running technical analysis and conducting qualitative analysis on cryptocurrencies, I also sit on the board of several companies running ICOs as an advisor. One of these companies being Kinguin (https://www.kinguin.net/). Kinguin was launched in 2013 and is a company that has hit one billion dollars in revenue this year. They are the first mover in establishing a secondary marketplace for cd-keys and in-game valuables, with an extremely strong community of 7 million gamers who managed to save $175m on their platform. Earlier today, I had the honor of speaking as a panelist for Kinguin & Friends, an exclusive invite-only event which saw the attendance of angel investors, cryptocurrency investors and, entrepreneurs. The event was focused on the launch of our ICO (https://www.kinguin.io/), and we had key speakers share their wisdom on investing in cryptocurrencies, ICOs, running blockchain solutions for companies and how we can further develop the gaming industry as a company. 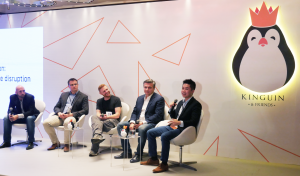 Sharing the panel with (from left to right) Callum Laing (Moderator), Partner at Unity Group Private Equity, Arkaduisz Szczebiot, Vice-President at MC2 Solutions, Kim Rom, CGO at Kinguin, and Viktor Wanli, CEO & Founder at Kinguin. We got to hear different views from the panelist with regards to how blockchain will disrupt our near future. From the technical aspects to the operational side of the business, blockchain certainly does have its benefits, but may not necessarily be the best solution for each unique company. Thankfully for Kinguin’s case, in particular, blockchain is especially useful and instrumental to changing the gaming industry as we know it. 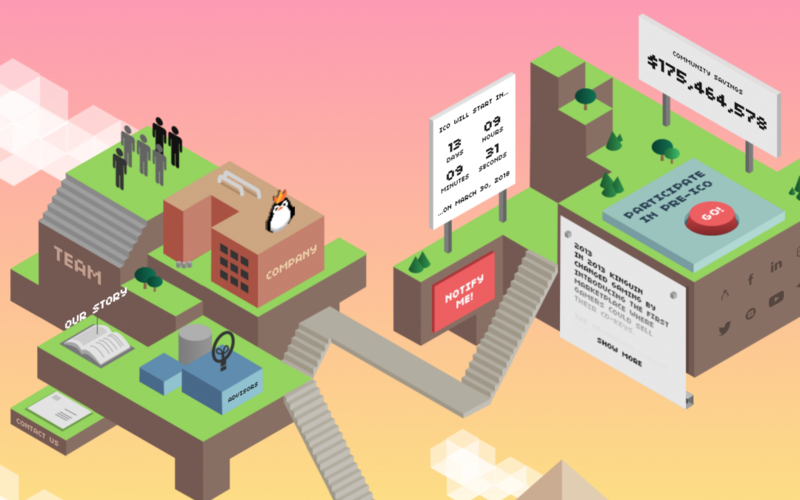 Kinguin’s blockchain would allow developers, gamers, and content creators to run and benefit from their platform. As a cryptocurrency advocate and investor, I shared a key value of how we should hedge ourselves against investment risks by doing proper technical analysis, and conducting qualitative research on any investment instruments before parting with your hard-earned money. Thus in relation to ICOs, two indicators that we can use is the strength of the team and the strength of the project. The team is run by experienced professionals who are passionate about what they do. They’re people who kindled their passion for gaming since young and managed to turn it into their livelihood, a dream that many of us aspire to accomplish. They stuck to what they were fervent about and the money did follow them. As for the strength of the project, Kinguin’s ICO has already achieved their accolades within the blockchain community. They clinched second place at the Global Blockchain Competition hosted by True Global Ventures, overcoming 200 competitors from all over the world. With the key to the success of this project being the ecosystem that they have already established; 7 million gamers on their current platform who would need to use the tokens to benefit from the new system. Kinguin’s ICO token, Krowns, will enable all gamers to profit from their skills anywhere in the marketplace. Gamers can use these emblems to buy digital games, items, and services. That distribution of options includes the opportunity to buy extra merchant services such as premium marketing spots and targeted sales campaigns. Building such a structured ecosystem ensures that the users have incentives to earn Krowns and avenues to spend them as well. Additionally, since all transactions on Kinguin.io will require Krowns, the utility of the token would eventually drive its value up. As for the technological advancements and developmental side of the project, Kinguin already has hundreds of developers employed to work on their platform. They have already begun working on bots more than a year ago and since have served thousands of customers through chatbots at a groundbreaking 96% satisfaction rate. Overall, I was thoroughly impressed by the professionalism and scrutiny of details embodied throughout the event. It is certainly an honor to be sitting on the board as an advisor for Kinguin’s ICO as I strongly feel that this is certainly a refreshing experience amidst the myriad of ICOs happening today. To follow my work as a cryptocurrency advisor, or to keep yourself updated with the latest cryptocurrency market signals, do join my Telegram Channel and be abreast about everything crypto.